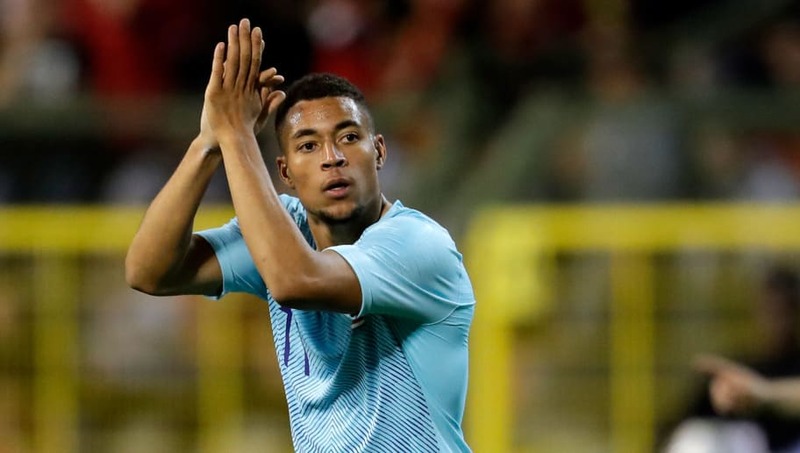 ​Liverpool, Everton and Tottenham are said to have joined AC Milan in the race to sign Club Brugge youngster Arnaut Danjuma Groeneveld. Despite being out with an ankle injury since October, Groeneveld has been attracting plenty of interest from across Europe after his early season performances, where he registered five goals and four assists in 15 appearances and earned himself a call up to the Netherlands senior squad - scoring on his full debut against Belgium. According to the Daily Mail, Milan have already had a £9m bid rejected for the young winger and it now appears as though a bidding war may be on the horizon. Premier League sides Liverpool, Everton and Tottenham are also keeping an eye on the 21-year-old and, undeterred by his current ankle injury, all three sides could be looking to make him their first signing of the January transfer window. Groeneveld, who joined Brugge from NEC Nijmegen at the start of the season, also revealed that Manchester City were interested in bringing him to the Premier League last summer before he made the move over to Belgium. Interestingly, current Everton director of football Marcel Brands has a history with the youngster, having let him leave the PSV Eindhoven academy back in 2016 after deeming him to be surplus to requirements at the time. Brands also previously spoke of his departure claiming, as per NRC: “(PSV had) a number of boys in front of him (Groeneveld).